Beyond its bustling ski resorts and immense natural beauty, Utah is recognized for its family-friendly feel and strong spiritual life, supported by the Church of Latter-day Saints. Does the town have good public schools? We measured schools’ academic performance with the help of GreatSchools. This non-profit organization compares a school’s standardized test scores to the state average. These ratings are on a 1 to 10 scale, and higher ratings led to a higher overall score. Can you afford to live there? We looked at the average price of a home in each town as well as ongoing, monthly home costs, including mortgage payments, real estate taxes, insurance costs, utilities, fuels and other bills. Lower costs led to a higher overall score. Is the city growing and prospering? We assessed the local economy of a town with its average household income and income growth over the last decade. Higher income and greater growth led to a higher overall score. Several cities along the I-15 corridor made the list, and it’s Centerville that came out ahead thanks to its strong educational system; it’s the only town on the list that received a perfect score from GreatSchools. Like several other towns in the top ten, it’s within the Davis School District, one of the highest-performing districts in the state. Davis’ teachers are recognized regularly for their excellence, and the students clearly have benefited: the College Board recently named the district’s students among the top performers on AP tests across the nation. Kaysville, between Ogden and Salt Lake City, is Utah’s Hometown. The city is rich with history, beginning with Hector Caleb Haight, who helped lay the foundations of not only Kaysville but neighboring Farmington, too. Today, Kaysville boasts family-oriented communities and stellar schools. Davis High School leads the state in the number of student taking the AP exam and is second in the number who pass. Life in Syracuse is centered around the family. Around 82 percent of Syracuse residents are married, and many of them have children, making for a large and inviting community. This growing city, on the edge of the Great Salt Lake, is known as the gateway to Antelope Island. It’s a state park and the largest island on the Lake, where visitors can cycle, bird-watch and hike. The economy, too, has a lot to offer. Residential and business development has exploded in the last several years, especially in Syracuse’s downtown area. Twelve miles north of Salt Lake City is Bountiful, in Davis County. Although a short distance from both Ogden and Salt Lake City, Bountiful has cultivated a unique and warm community of its own. Every year, its residents celebrate Handcart Days and Pioneer Day, a Utah state holiday that celebrates the Mormon pioneers’ settlement of Salt Lake Valley over 150 years ago. Set against the mountains near Provo is the city of Springville, also known as Art City because of its strong support for the arts. For example, there’s Springville Art Museum at the center of town, citywide art projects and the Springville World Folkfest. Cultural life and its proximity to the growing business hub of Provo make Springville a great place for creative young families. Spanish Fork is populated with affordable homes and competitive schools, and it’s just down the road from Provo and BYU. Spanish Fork’s new high school, Maple Mountain, established just four years ago, has dominated on the field and on the court. The track and wrestling teams in particular have seen a great deal of success in this school’s brief history. Farmington is no stranger to recognition. And it’s no wonder why, because, beyond a stable economy, there’s immense natural beauty, too. Tall trees and a number of trails spot this ten-square-mile town. There’s even an amusement park, all of this making Farmington a great place not just for industry but recreation, too. Cedar City is a small university town known for being budget-friendly. Income here may not be as high as in other cities, but the cost of living here is so affordable it’s no matter – it even made the list in another study we conducted for that same reason. There’s a lot to love on the weekends, too. Southern Utah University, more than a big employer in the town, is the center of cultural life; it’s home to a number of events, including the Utah Shakespeare Festival, which runs every year from summer to fall. Pleasant Grove offers affordable homes and an active social life. Every year, in June, it’s home to the Strawberry Days event, which brings a rodeo, carnival and more to the town. And, on the weekends, the residents of Pleasant Grove enjoy a host of outdoors activities, including day hikes at Battle Creek Falls and concerts in the park. American Fork is such a successful town because of its resilient economy. While the national unemployment rate hovers at 6.8 percent, American Fork’s is down to 4.8 percent. It’s no surprise why, because the town does its fair part to enable its residents’ entrepreneurial needs. The Chamber of Commerce, for example, launched its Women in Business group to help build a community of female business owners. 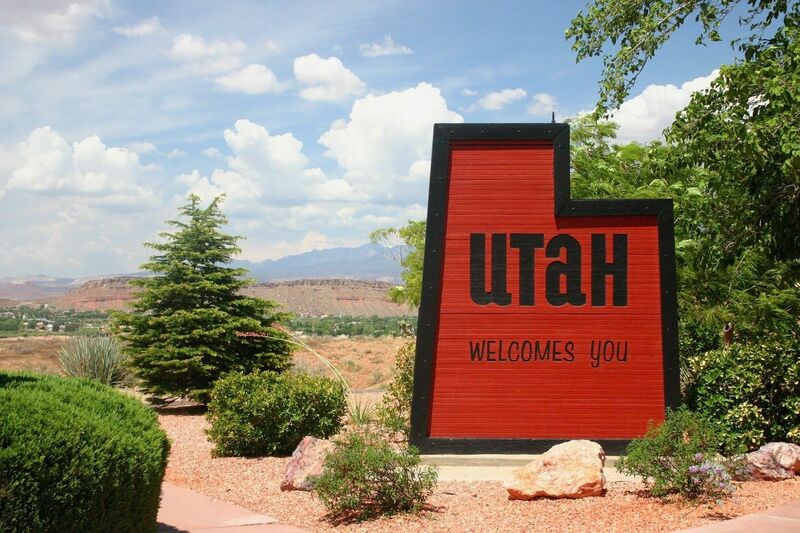 46 Utah cities and towns designated as places by the U.S. Census were included in this analysis. Only places with a population greater than 15,000 were considered.